We walked into the room, and I saw it out of the corner of my eye. It was hilarious. 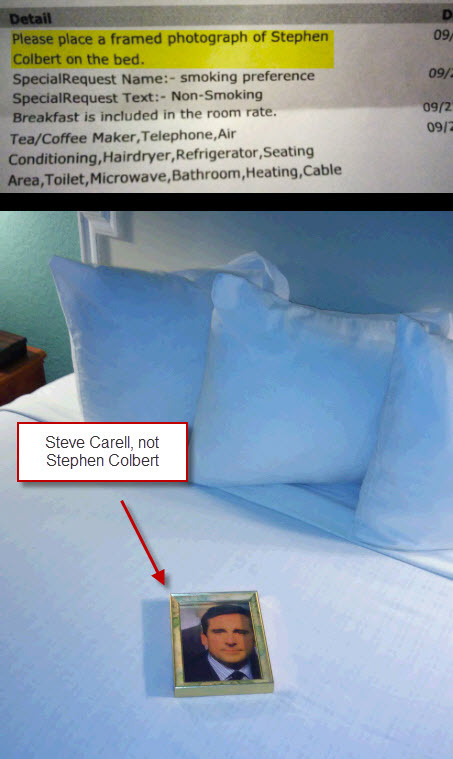 Not only did they actually read and follow through on this ridiculous request, the fact that is Steve Carell NOT Stephen Colbert makes it even funnier. Thanks to the staff at the Clearwater Lakeshore Motel for not only providing a nice quality room for the money, but going the extra mile to give us a funny story that will last forever.